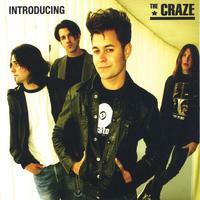 Just when you think you have me pegged for an all hard rock kinda guy may I introduce you to The Craze. Evoking all that you loved about New Wave (go ahead, you can admit to liking the stuff), The Craze belt out some very angular rock and roll and on songs like Never Knew they throw in some great classic hard playing rock and roll, regardless of how you want to classify it. Kiss Yourself doesn’t do much for me but the aforementioned Never Knew and Turn On My Radio rocked my socks and Baby Blue is a beautiful, melodic mid-tempo rocker that gets better with every listen. The thing I have always liked about rock and roll, and the reason I refer to The Rock and Roll Report as a “niche-free zone” is that I refuse to pigeon-hole the site and by extension myself to one rock and roll niche. Whether it’s stuff like the New Wavey sound of The Craze or the harder edge of the previous blitz bands, it really doesn’t matter to me. Good rock and roll is good rock and roll and I know it when I hear it. Why would anyone want to limit their enjoyment of music by limiting their choices? That’s beyond me. Anyhow, enjoy The Craze by heading over to their MySpace page at http://www.myspace.com/thecrazetheband and have a listen and then watch a video and enjoy. Thanks for turning me on to this band. Love it! just had a listen…they are awesome..